Michaels: 50% off Easter Baskets! This week at Michaels, Easter baskets are 50% off! Michaels: 50% off Easter Decor & Spring Floral! 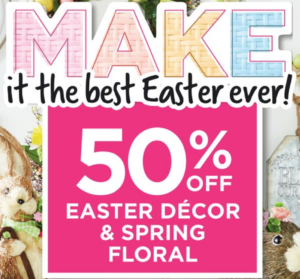 This week at Michaels, you can get 50% off Easter Decor & Spring Floral! Make it the best Easter yet! Michaels: 60% off Floral Stems! 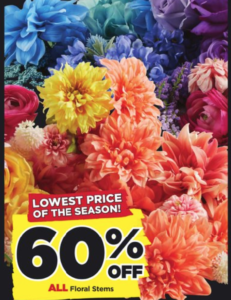 Right now at Michaels, ALL floral stems are 60% off! 40% off ALL Easter Decor at Michaels! 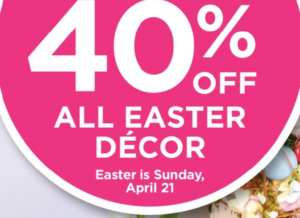 This week at Michaels, you can get 40% off ALL Easter Decor! 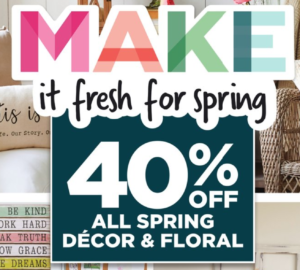 40% off ALL Spring Decor & Floral at Michaels! 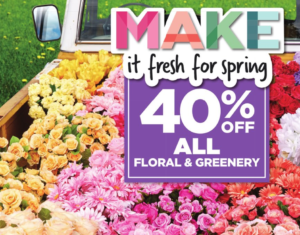 This week at Michaels, you can get 40% off ALL Spring Decor & Floral! 40% off ALL Spring Floral at Michaels! 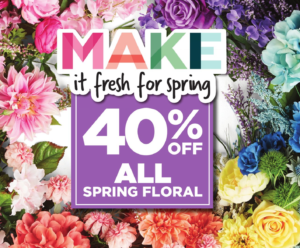 This week at Michaels, you can get 40% off ALL Spring Floral! 40% off ALL Floral & Greenery at Michaels! This week at Michaels, you can get 40% off ALL Floral & Greenery! BOGO FREE Deals at Michaels! 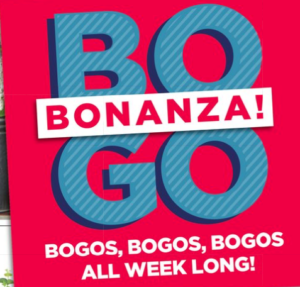 This week at Michaels, you can get BOGO FREE deals all week long! 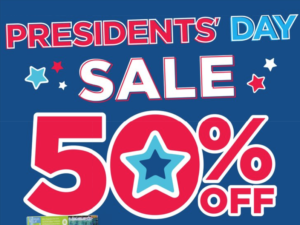 Michaels: 50% Off Presidents’ Day Sale! This week at Michaels, they are having a Presidents’ Day Sale! You can get 50% off select items!